These notes accompany a in-depth feature on Madeira. For profiles of all of these estates please see Regional report: Madeira – a visit to three top producers. See all stockists of Henriques & Henriques on wine-searcher. Slightly paler tawny/nutty brown. Really quite oxidised in style, with a burnt caramel tang and plenty of dried fruit and nut notes. On the palate there is an intense richness, but it is still a fresh style of wine, with plenty of orange and grapefruit tanginess playing against the walnutty dryness and orangy fruit. Nicely balanced and delicious. 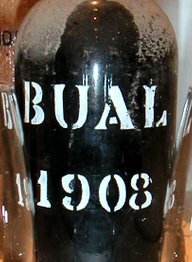 19%ABV 87 The first selection of Five Year Olds are mostly made from Tinta Negra Mole, but there are up to 10% of the ‘noble’ varieties in these bottlings. Dark tawny, but still some gold at rim. There is light oxidation here, but it is smothered by chocolaty, fudgy richness and an immediate impression of lusciousness. On the palate burnt orange and crème brûlée, with that toffeed layer sitting over a custardy richness in the glass, with plenty of tangy, dry, pithy and underripe pear acidity coming through. Fabulous balance of the diverse elements here. 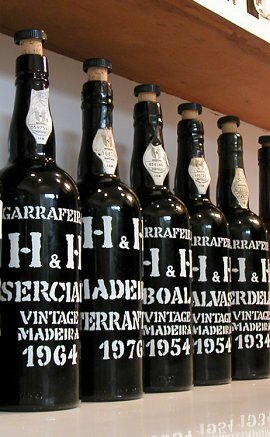 20%ABV 92 Some of the Vintage wines that follow are available worldwide by mail order from H&H. Vintage wines must spend a minimum of 20 years in wood and two in bottle before release.